Remember that hunky guy on YouTube who caught your eye? The one with the awesome pecs and killer smile? I bet you couldn't stop watching his videos. Just imagine if you had a chance to meet him and all your fantasies started coming true. There's only one catch: Between you and your dream guy is his less-than-pleased boyfriend. They say that love conquers all, but can love conquer love? Never stop running. No matter how often life trips you up or how many times your enemies knock you down, just get up and keep on moving until you find where you belong. Kelly Phillips has been out and proud since he was a young teenager, and thanks to the gay youth group he frequents, he's never been short on friends or lovers. But when you have almost everything, it's hard not to focus on what's just out of reach: a best friend who would be Mr. Right if he wasn't already Mr. Straight. Or that handsome athlete at school who would be easier to wrangle if not for his angel wings. And then there's the guy who might be a perfect fit, maybe even a soul mate...if only he wasn't convinced he didn't need anyone. Kelly has always been good at running. Now he must learn to chase, which will test not only his endurance but the durability of his heart as well. Something Like Lightning is a new beginning in the Something Like... saga, shifting the focus to a different set of characters while also revisiting a familiar face or two. This was one of those books that I wasn't sure I would like, as I didn't really like Kelly in Something Like Spring. I should have had more faith in Jay Bell. He really is a magnificent writer and I need to learn never to make any assumptions about his characters. This is Kelly's story and no matter what you thought of him in Spring, you will love his story. In a word, his spirit is amazing. He does not always express it correctly, but his heart is wonderful. In typical Jay Bell fashion, he makes you root for Kelly and William until his tears them apart so Kelly can have his real true love. What is great is he does it in such a believable, human fashion. I have to say, my view towards William also changed and not in a good way. Something I am sure Jay Bell will whack me over the head with when he tells Williams story. Once again Kevin R Free hits it out of the park with his performance of these characters. He is really one of the best narrators out there and I hope he is always the voice for Jay Bell's stories. 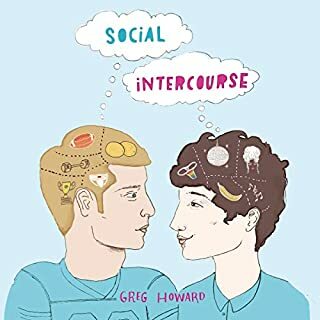 This is a must listen for fans of the series, but be warned, there is a modified HEA. The ending is the beginning of Thunder. I do love the Something like books! I love how the stories are all intertwined with these characters to make the stories. This is a great addition to the Something Like series that let's us get to know 2 (really 4) characters from the past even better. I love how connected and intertwined all the characters are with each other, Jay does such an amazing job of giving long time fans better insight into characters we may not have liked so much from past books and allows us to walk in their shoes for a while. In the end you can't help loving and understanding each and every character! Amazing! I listen to a lot of audio books as I have a long commute. This one held my interest so much it made me break my rule. My rule is that I never listen once I'm out of the car. I got so into the story that I listened a couple of times in the house. If you like a story that keeps you wondering and makes you laugh this is it. What made the experience of listening to Something Like Lightning the most enjoyable? A well-written and creative story with an imaginative plot and a wide variety of characters, including engaging dialogue. Innovative fiction that is believably authentic. A good mixture of drama and humor, conflict and resolution. What was one of the most memorable moments of Something Like Lightning? 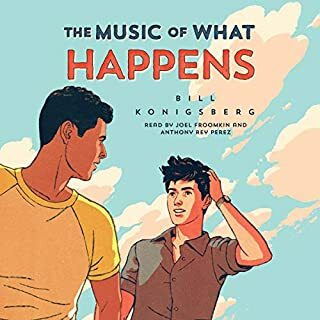 There have been several incidents that have arisen in this story (and the previous stories by this author) that provoked me to pause the audio device to reflect on how something similar has happened to me in my life in the past. Sometimes I was sad and sometimes I cried and sometimes I laughed. I won't bore the reader with details, and I hate SPOILERS in reviews, so I won't get specific. But there were many, many times in which I felt the author could have been writing about me and how I felt under a similar circumstance in my own life. So the writing is very authentic and believable. What does Kevin R. Free bring to the story that you wouldn’t experience if you just read the book? I've listened to over a hundred audiobooks, and I think the narrator is crucial to the experience. This narrator does an excellent job of conveying subtle characteristics of the personalities of the different characters in the book. The tone of the general narration is very easy on the ear, and the various vocal tones and accents of the characters portrayed by the narrator add significantly to the story, creating a performance that is an entertaining experience. Yes, I definitely could have done so, but spread it through a weekend. A challenge to 'put down, pause' for sleep and other essentials. I wasn't hanging on the edge of my seat as with a tense thriller, but I definitely wanted to find out what would happen to the characters next ... more out of pleasant anticipation than necessity. This book is considered to be in a 'series'. But it is absolutely NOT necessary to read the prior books to fully enjoy this book. This book can definitely stand totally on its own. Some of the characters with small roles in this book are more prominent in the preceding books of the series and the main character in this story has a small role in the prior book. So, it is fun to see how their lives intertwine, but totally not necessary! If you like this story, you'll want to read the previous ones for their own unique stories. I'm very impressed that the author keeps coming up with novel plot lines for a variety of characters whose lives intersect creatively. 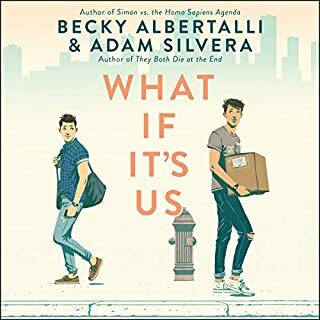 I can't wait for the next book (already in print) to come out as an audiobook, so I can listen! Simple enough and familiar enough to just keep listening and listening. I love the way Bell weaves all of these tales together. Characters that you know so well from other books in the series pop up for supporting roles or cameos. It makes you feel like you're in on a joke that was placed there just for you. I love that we get to see Kelly (a former villain of sorts) fleshed out and made the hero of this story. To be a little critical, the ending was weak for me, but I'm not mad about it. And Free is the perfect narrator. I love listening to him, but this is the first time I felt like he slipped up and was a little disconnected. I'm really glad there are more books to read in this series. And I might even go back and listen to the others again. I will admit...I wasn't looking forward to this book. I wasn't a fan of Kelly in Something Like Spring. However, like always in this series, I love seeing the other side of the story and about halfway through the book I loved Kelly. In truth, this may be the character I relate to the most. Kevin R Free is also a very talented narrator. My least favorite character! Great Story! All in All, Kelly isn't that horrible of a person. He's still a douche but once you understand who he is and what makes him tick you are finally happy for him and appreciate him for who is. Absolutely great story line - very well developed. While Kelly and Nathaniel's love story was touching. Theirs seems a separate world from previous 4 books. I do like how Jay Bell managed to weave each story together right up to the end of the main focus and then carry on to the next story. Would you listen to Something Like Lightning again? Why? not really. though it filled in some gaps we already sort of know Kellys story and there was nothing exceptional about it..the next book is about Nathaniel?? I doubt I will read that one, shame really as I really enjoyed the first 4. I see a new one is on the horizon, I cant wait. learning Jasons involvement in Kellys carrer. Which character – as performed by Kevin R. Free – was your favourite? Kevin R Free is wonderful. (I wonder if I could get him to record my answer phone message). I like his portrayal of Jason, and Tim OH and William, Ben is good as is Alison and .... I think you get the point. At first I was like oh no it’s Kelly Phillips, his bad attitude and snide remarks but as I got to know his story I understood why he has an edge to his personality, underneath all the attitude he is just another person that has been hurt by life. I’m so glad that he and Nathanial actually found each other. 10 out of 10 for Marcello for locking them in his office. It may not be the best in the series but it is still a really good read and I would recommend it. Okay, cards on the table, I have loved the first four Something Like books. I like how they tell an organic story of people as they grow and deal with the world around them. Most of all though I like stories with characters that are well rounded and that I can if not exactly relate to, certainly ones that I can sympathise with. Kelly Phillips is not that character. When we first meet him in Something Like Spring, we see him as someone who is in the way of the happiness of the books main character. We're not supposed to like him. The fact that he is snide and waspish doesn't help endear us to him. 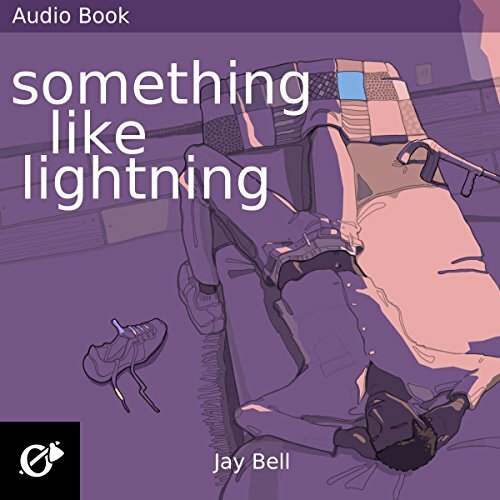 When I found out that Something Like Lightning was about him I groaned, as it's hard to give time to a main character in a book that I dislike. In fact, it took probably the first quarter of the book for me to get into the story at all, and most of the main reason I stuck around was because I hoped that there would be some cameos from characters that we had got to know in previous books. Well, that's not entirely true. You see, even though I really did not like Kelly, the story was so well written and so well read, I found myself actually enjoying it. No, Kelly did not endear himself to me, I still don't like him. However, I did care about what was happening to those around him and ultimately found myself wanting things to work out well for him. 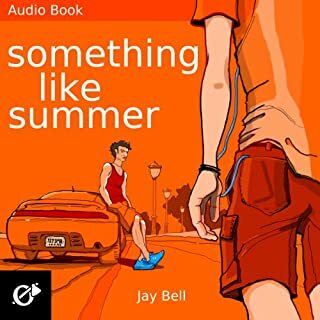 So, out of the Something Like series this has been my least favourite, but I am still glad that I stuck with it as I can think of few places (fictionally speaking) that I would rather be right now than Jay Bell's world. If you've happened by this book then do yourself a favour and start at the beginning with Something Like Summer and enjoy some quality fiction as you go through each story. Make your own mind up about characters who you like and dislike.